The teacher was furious with her son. "Just because you've been put in my class, there's no need to think you can take liberties. You're a pig." The boy said nothing. Do you know what a pig is?" "Yes, Mom," said the boy. 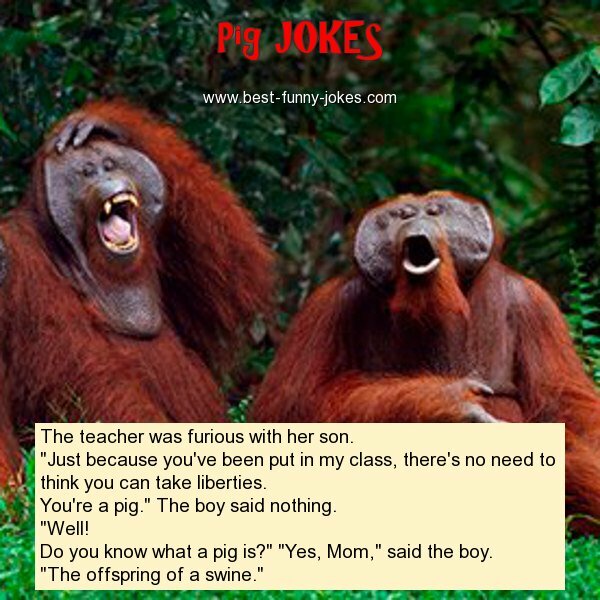 "The offspring of a swine."